The first-generation Evoque was a real shift change for the Range Rover brand, being the smallest model to wear the prized luxury off-road badge, with futuristic Gerry McGovern styling. It immediately became a must-have model, with 800,000 sold over its eight years on sale. It also became a surprise fleet success in diesel two-wheel drive form because of its CO2 performance, which bought it under the threshold for better BiK and write-down allowance performance. Well, the Evoque is back in second-generation form — the biggest claim being that Land Rover has injected more Range Rover into its new baby, plus some clever tech. Outside, it would have been difficult to update the iconic styling of the original, so instead it’s been cleverly tweaked — although 99.9% of this car is new. 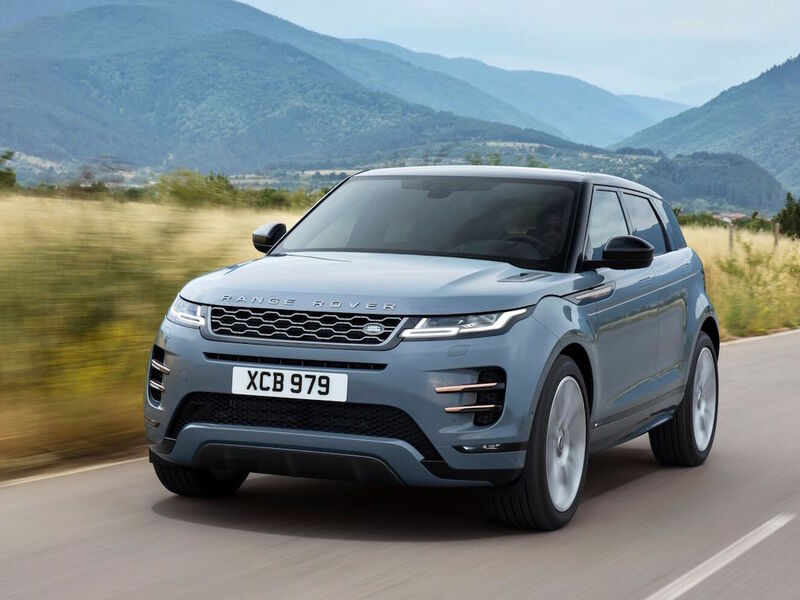 Five-door only now, the Evoque’s biggest change on the outside has to be the Velar-inspired rear styling, with slim LED-lit light clusters that stretch across the rear, plus the flush-fitting door handles at the side. The Evoque’s more extensive revisions are on the inside, with the Touch Pro Duo infotainment system featured as standard from R-Dynamic SE models and optional on others. This basically brings two high-definition, touch-screens — one for the navigation and infotainment and the other for in-car features such as the ventilation. The 2019 Evoque also sits on JLR’s all-new longer, mixed material platform called the Premium Transverse Architecture. That means an extra 20mm of additional knee room in the back, plus 10% extra luggage space. It also debuts clever new technology. Clearsight Groundview is the first and basically works by letting you see through the bonnet, using cameras in the front grille and door mirrors, which together project a view on the touchscreen of what’s underneath and in front of the Evoque. I had a chance to drive round a course, just by using this system and the central infotainment screen, and found it works really well. The other new system is the Clearsight Rear View Mirror. Basically, at the flip of a switch, the actual rear-view mirror transforms into an HD display which, via a camera in the roof fin aerial, gives an unobstructed rear view — even if the back of the car is fully loaded with people or luggage! The new Evoque is offered with the choice of 150hp,180hp and 240hp versions of the Ingenium diesel engine, with the 150 getting a six-speed manual while the other two feature a nine-speed automatic. Or there’s the choice of 200hp, 250hp and 300hp 2.0-litre Ingenium petrol engines, all with automatic transmission. All units, bar the 150 diesel, come with 48-volt mild hybrid tech. However, of more interest to fleets is the plug-in hybrid version due next year. The D150 manual is expected to be the most popular engine for fleet, with 44.9mpg fuel consumption (WLTP) and CO2 emissions of 149g/km (NEDC Correlated). This engine is also RDE2 emissions compliant, thus meaning it’s not subject to the usual 4% surcharge on BiK. We drove the four-wheel drive version of the fleet-friendly D150 in S-specification, which includes rear parking sensors, keyless go, an 8.0-inch touchscreen, Bluetooth and DAB. It’s still fun to drive, with responsive steering, although the D150 only gives adequate performance. However, it’s the newfound proper Range Rover refinement that impresses most — the interior is whisper quiet, the autobox makes slick changes, and the only time you can hear the diesel engine is when accelerating hard. So to sum up, the Evoque still feels special and in D150 form, it makes a lot of sense for fleet buyers.